I lived for 45 years with the right leg shorter than the other. Then I had two artificial hips installed to correct my childhood infirmity. Three years ago I started to take Bikram yoga classes. I was fused like a badly sewn dress. Some muscles in my legs had atrophied from many years of inactivity. As yoga practice was bringing them to life, they were giving me all pangs of rebirth. The soreness persisted for many hours, even days, afterward, but it was a promising pain. At first I could only make one class per week. I knew that for real results my stubborn muscles needed more. My happiest moment was when my hips finally allowed me to do Bikram yoga every day. I attribute this remarkable healing to the raw food lifestyle I have been following for the last ten years. Initially in yoga and in the transition to the raw foods, there is discomfort. But it is a “good pain.” When you begin yoga, the unrecognized injuries come to the surface. When you begin the raw foods diet, hidden problems resurface. Detox symptoms are only the birthing pains of upcoming health and rejuvenation. If detox symptoms are hard for you, then you are in fact fortunate to experience the journey when your body consciousness extends and expands beyond its present state. It is your limitations that allow you to work on the frontier of the known toward the unknown, expanding your body’s awareness as you learn about your body, about yourself. Count problems as blessings! B.K.S. Iyengar remembers two students in his class who were trained ballet dancers. They could achieve “every position without exerting any effort, so the journey to the final posture could teach them nothing.” He had to become really creative to design routines that would create resistance in their bodies allowing them to work at the point of balance between the known and unknown. Pain teaches. It is through struggle that we learn. We learn to see good in pain. Do not avoid the inevitable pain that is part of all growth and change. As raw foods and yoga take you back to health you will develop greater tolerance of body and mind so that you can bear stress more easily. When we purify our bodies, then the pains disappear, and problem areas heal. Yoga teaches you to find comfort in discomfort—not to run from pain and limitations, but face them head on and move gradually through and beyond them. Raw foods teach us the same thing: You feel bad before you feel good. This develops tenacity and perseverance, everything you need to get to your best health possible. There is no easy way to health! 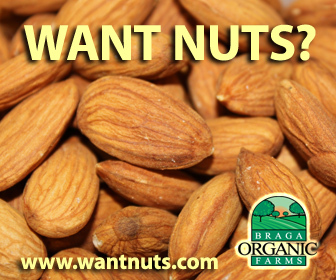 If drugs, supplements, or surgeries could do it, we would be a society of healthy individuals. Unfortunately, this is not our reality. But you can achieve your Rawsome health and beauty because you know the way! 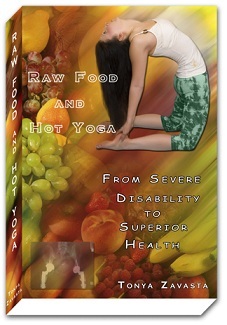 Practice Hatha Yoga and Raw Foods in tandem for superior health.